Bharat Sanchar Nigam Limited or BSNL is ramping up its customer-centric efforts in the country. 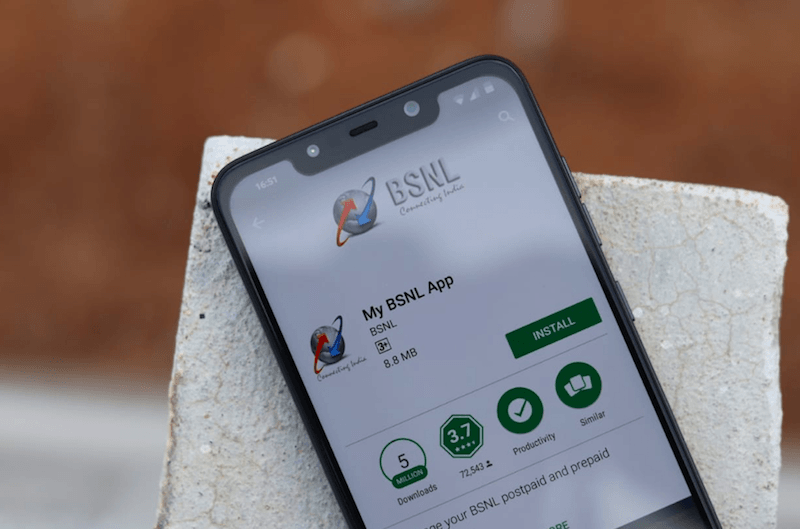 In the latest move, the telco has introduced a new version of its My BSNL Android application and as part of the introductory offer, it’s providing 1GB of free data to every customer who installs the application. The new app, as BSNL confirmed, is built in collaboration with Call2action Communication India. Until now, BSNL doesn’t have a good self-care application, but the revamped My BSNL app solves that issue. It provides access to your account information, allows you to recharge your number and other numbers and many other features are present in the last version of the app. The free 1GB data comes with a validity of 30 days. Aforesaid, BSNL is crediting free 1GB of data to its users for downloading the newly revamped My BSNL mobile app from Google Play Store. This free 1GB of data comes with 30 days validity and can be used on top of the existing data balance. For example, you’re on a prepaid recharge plan of Rs 186 which is currently shipping with 3.2GB data per day. Once you exhaust the daily data, you can make use of 1GB of additional data to continue enjoying better speeds on BSNL 3G network. This offer is valid until December 31, 2018. BSNL has been lagging behind private telcos in the self-care app department, but the latest app will solve these issues. The telco has partnered with Call2Action Communication and introduced the all-new My BSNL to both BSNL and non-BSNL consumers. The new app delivers advertising and promotion content to mobile phones during routine everyday interactions such as calls, SMS, alerts, notifications, beacons, and other location-based interactions. The service also provides IP based calling and Messaging services using the single interface. Like other self-care applications of private telcos, My BSNL app also allows users to check data usage, perform recharges, check account details, pay postpaid & broadband bills and all the special offers associated to your number can be checked. Furthermore, it also allows users to find out the 4G hotspots located in the country along with International Wi-Fi service built into it. For the unaware, BSNL has some dedicated plans for international Wi-Fi where a user can connect to 44 million hotspots located across the globe. Should You Recharge Your Prepaid Number Every 28 Days? 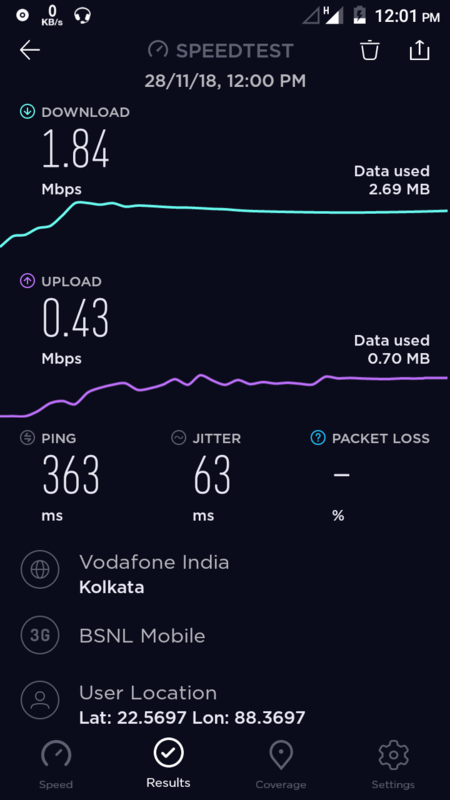 BSNL SPEED TEST RESULTS. KOLKATA CIRCLE. Near HALISAHAR NANNA HOSPITAL.